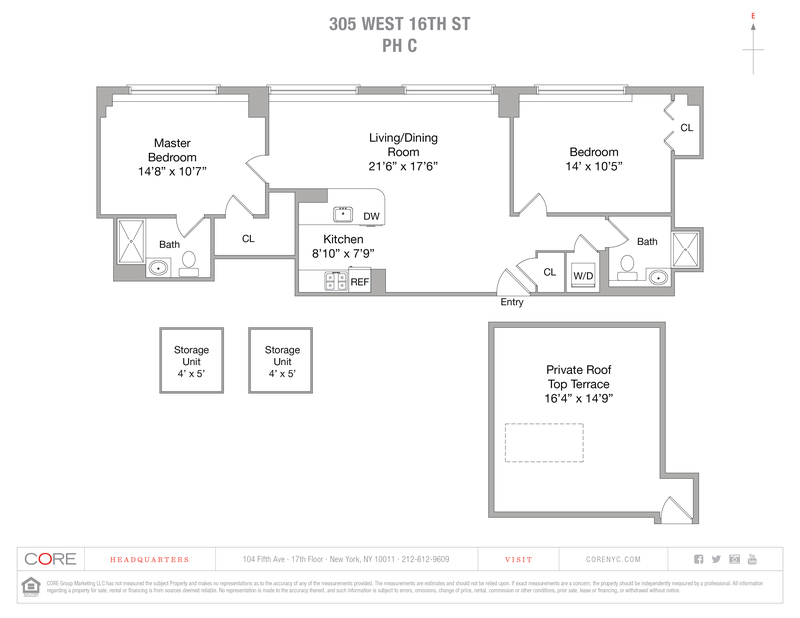 Located in Chelsea's 305W16, Penthouse C is an east facing, well-appointed, split two-bedroom, two-bathroom home. 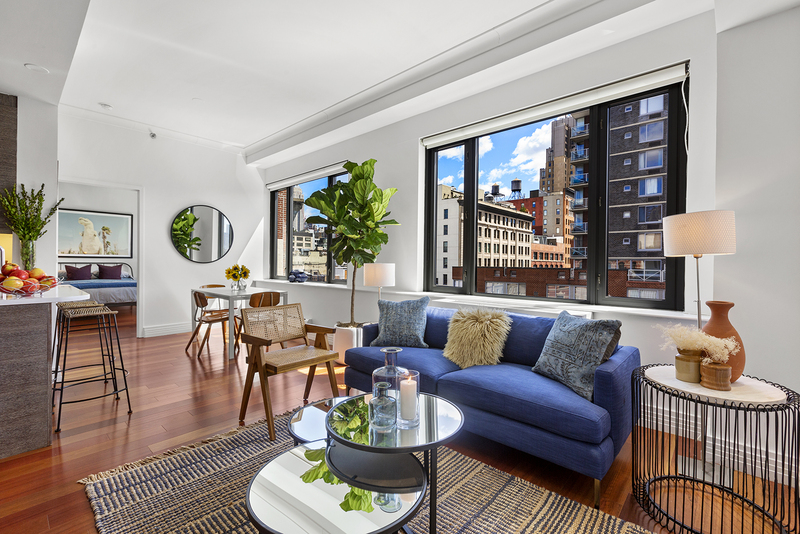 Double-paned, triple-locked windows provide peace and quiet, but allow for plenty of natural light and views of The Empire State Building. Sturdy Jatoba Brazilian cherry hardwood flooring is found throughout the home. The open kitchen, ideally located next to the dining area, features Caesarstone countertops; a Bosch range, cooktop and microwave; a Fisher & Paykel refrigerator; and custom Italian-made Cerused Wenge cabinetry. Both bathrooms have shower stalls; custom Italian-made master vanities; Grohe and Toto fixtures; and Roca porcelain and marble tile. Ample closet space and a Bosch washer/dryer complete the space. This unit also comes with two spacious basement storage units, and a 345-square-foot designated private roof cabana with plenty of space to entertain, and unobstructed views of NYC's iconic skyline.